It’s official. The Christmas Countdown has begun in our house. The tree is going up this weekend. We are off to visit Santa for the first time, today. 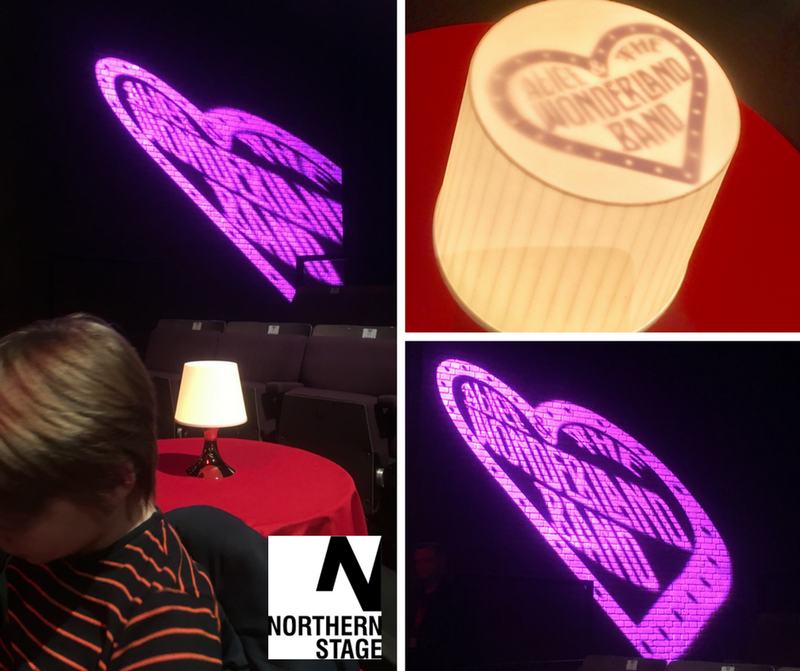 The advent calendars are being enjoyed, the Christmas cake has been baked and we’ve been to our first Christmas Show – Alice in Wonderland at Northern Stage in Newcastle. Northern Stage doesn’t do the traditional panto. It does, instead, a festive production. 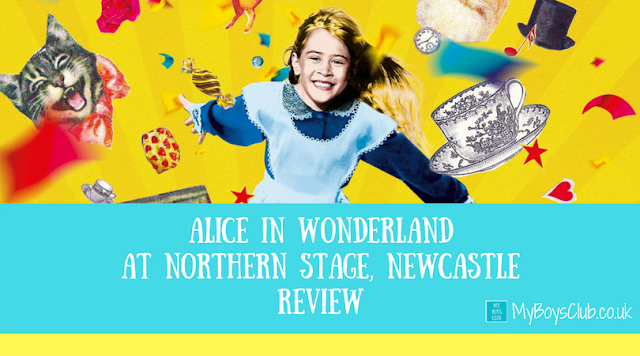 Two years ago it was The Wonderful Wizard of Oz, and last year James and the Giant Peach, this year’s Northern Stage festive production is Theresa Heskins’ adaptation of Lewis Carroll’s much-loved classic, Alice in Wonderland. The show is performed in the centre of the theatre with seating around all four sides. 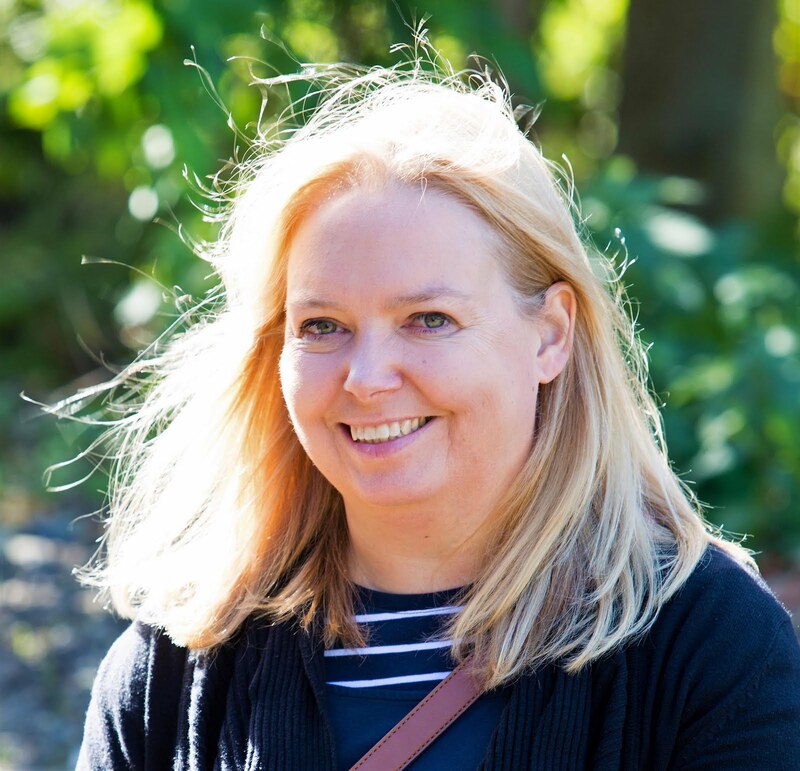 We were seated on a cabaret table, right next to the stage, we felt part of the show, and in fact at times were - I was ‘painted’ and lots of cake fell on our table too – much to the delight of the boys. The promotional material calls it ‘bold and bonkers’. It’s not wrong. Hubby described it as David Lynch does panto. Without giving away any spoilers it does stay true to the books, in fact, there are elements of both Alice in Wonderland and Through the Looking Glass. On stage, we see the Mad Hatter, White Rabbit and March Hare plus the Dormouse and White and Red Queens and Tweedledum and Tweedledee, but it definitely has its own twist on things. It also has the Jabberwocky and the boys were excited to learn that it was inspired by the regions Lambton Worm tale. Overall it is fast paced, the two-hour show flies by and totally enthralled the whole audience. In the story, Alice is a whizz at card tricks, hates sitting still and always asks too many questions. One day her curiosity leads her tumbling into Wonderland where everything is so topsy-turvy her feet can barely keep up with her thoughts. 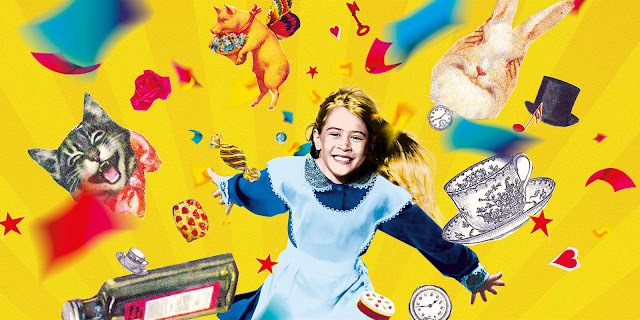 On a whirlwind adventure, the courageous Alice meets the argumentative Tweedledee and Tweedledum, joins the Mad Hatter’s chaotic tea party and dashes from the Jabberwocky. With the White Rabbit as her side-kick can Alice escape the Red Queen’s cries of ‘off with her head!’ and make it home to her mum in time for tea? Alice is only 11 but played believably by a 28-year-old Alex Taynee, who you may have seen in Byker Grove or Boy Meets Girl as well as many other theatre performances. 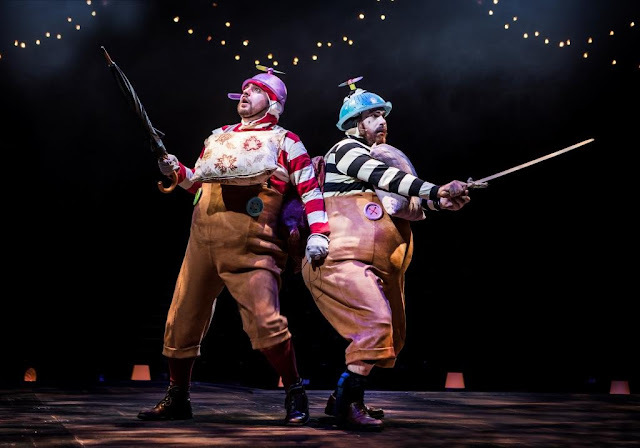 I also really liked the White Rabbit character – in fact, we’d seen Chris Price, the actor in a show earlier this year at The Aphabetti Theatre in Overdue – he is equally as good in this. As are the whole cast. 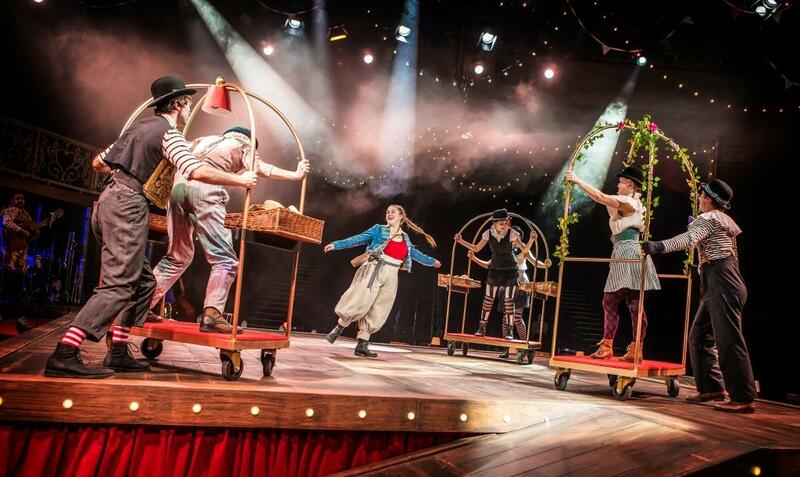 It’s a full-on performance with lots of singing, dancing - with expert choreography on a relatively small stage too – and what I really loved was that the whole cast seemed to be really enjoying themselves on stage too. What is really amazing about theatre is the staging and use of props. With only one set Alice is transformed through so many situations, all believable and distinguishable because of the great use of props and lighting. 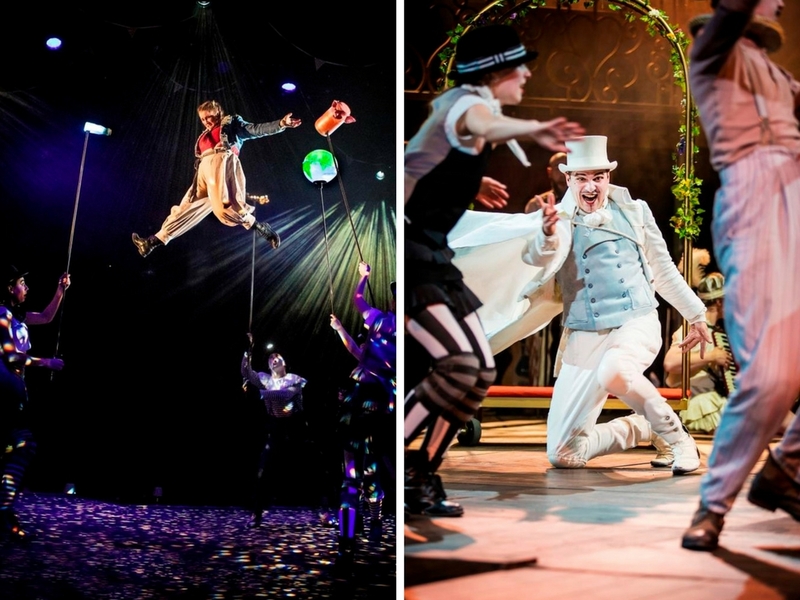 I particularly liked the ‘falling down a rabbit hole’ and the Cheshire Cat – totally inspired production. 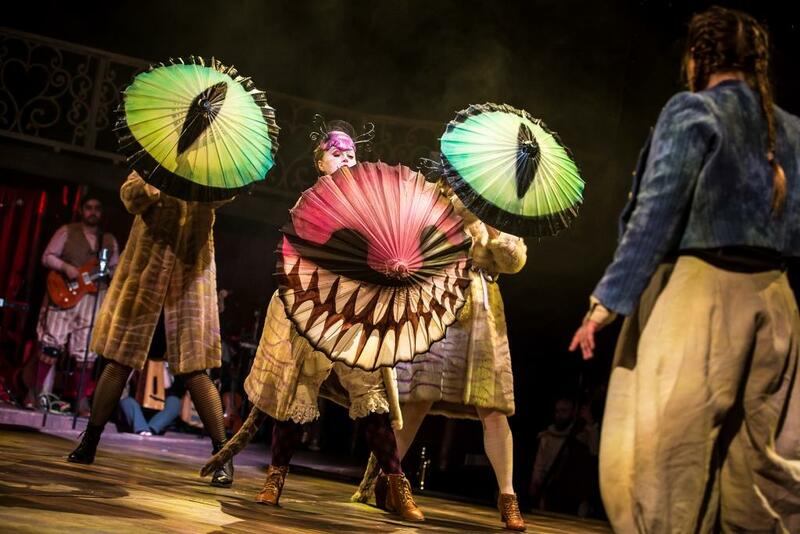 If you are looking for a show that is a fun, magical, interactive and totally immersive experience then Alice in Wonderland is the perfect show for your family and an action-packed Christmas treat for the whole family. The show is aimed at children aged 5 -11, although I’d say older children would enjoy it too. My eldest boy is nearly 11 and loved it. All tickets for children, students, and those aged 16-21 and priced at just £10. Adult tickets are priced between £10-£25 depending on the seat chosen. The show lasts 2 hours 15 mins which includes an interval and is on until January 6th 2018. Tickets can be booked via the Northern Stage website. What is your favourite character from Alice in Wonderland? Disclosure: We received complimentary tickets to the press night for Alice in Wonderland in return for an open and honest review. Photography production shots supplied by Northern Stage - credit Pamela Raith Photography.